I'm not overly happy with how this came out, particularly the stamping on my pinky... 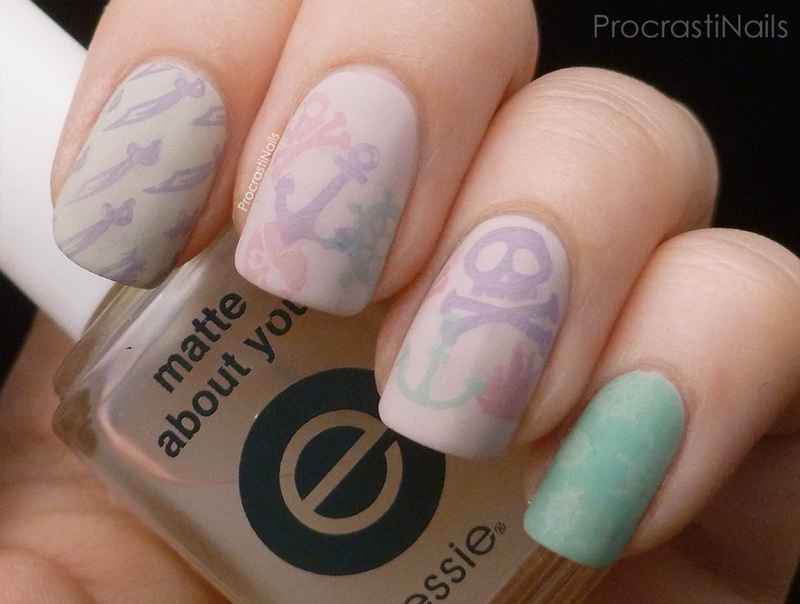 It's ship wheels, but I have now found out that OPI Skull & Glossbones is not a good stamping polish. Lesson learned! The other shades used here are OPI Steady As She Rose (pink base on middle nails), OPI Mermaid's Tears (green), OPI Planks a Lot (purple), and OPI Sparrow Me the Drama (pink). Skull & Glossbones is also the base on my pointer finger. As you can see I finished the whole thing off with a layer of Essie Matte About You because whenever something doesn't look quite right you can either top it with Fairy Dust or matte - today matte was the winner. I am super sleepy so now I am off to bed, but tomorrow (later today actually, damn) I'll be waking up to put together the look for Day 24: Inspired by a Book! "whenever something doesn't look quite right you can either top it with Fairy Dust or matte"--love this! And it's true! 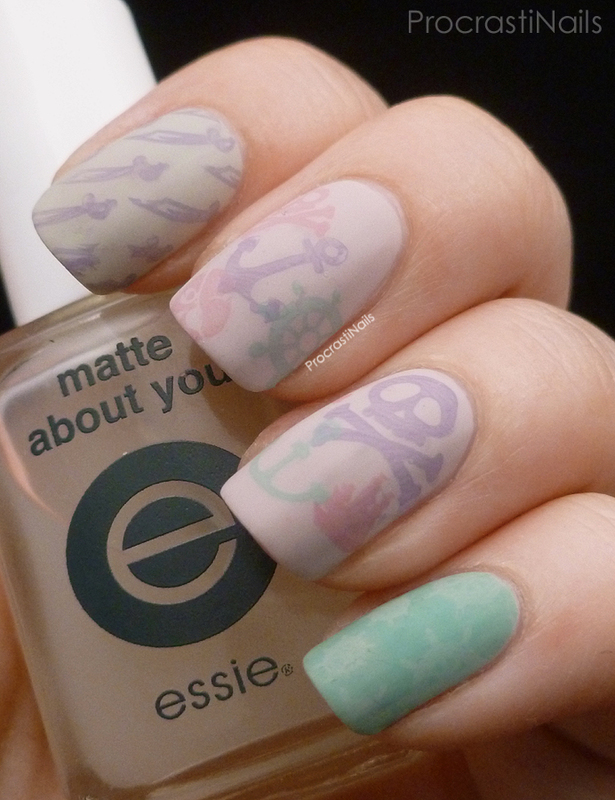 I especially like the layered stamping you did on your middle and ring fingers. How pretty and soft! This is lovely.